A Triple Threat WWE Multi-Media Men Podcast Broke Out! And just like Tom Nix stated, “We are on the Roman to Wrestlereignia.” All the pun intended. This is yet another fun-as-hell episode of the Multi-Media Men podcast of the WWE variety where myself, Tom Nix, and Angelic Heel, discussed WWE RAW this week and the matches that will take place at Wrestlemania 32 in Dallas, TX. We talk about what WWE Creative should desperately do with Roman Reigns to have the WWE Universe start to enjoy him, as well as talk about Dean Ambrose and Brock Lesnar fighting to the death. We also chat about Charlotte and her dad Ric Flair, Shane MacMahon’s return, and all the booty that is The New Day. Hell, even Virgil gets mentioned. We periscoped the episode live as too, which was a lot of fun. Let us know your predictions for Wrestlemania 32. Enjoy this episode and let us know what television shows you want to see. And please let us know what you think by going to our FACEBOOK page and TWITTER page, which you should visit to catch up on all the latest information. And don’t forget to visit iTunes and Stitcher to subscribe to our podcast. Enjoy the show and see you next week! Thank you for listening. WWE Podcast: Special Edition ‘Wrestlemania 31’! WEW Podcast Ep. 1- Rusev Machkas, Heath Slater for President, and CWC! 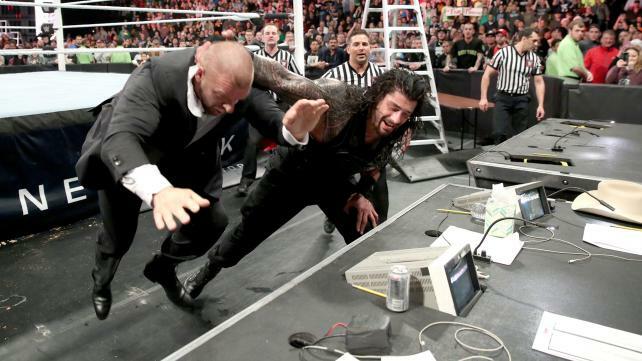 The 10 Best Things from ‘Wrestlemania 32’ Weekend in Dallas! This entry was posted on Wednesday, March 16th, 2016 at 11:17 pm	and is filed under Events, News, Podcast. You can follow any responses to this entry through the RSS 2.0 feed. You can skip to the end and leave a response. Pinging is currently not allowed. « Enjoy The Marvels In The Trailer For ‘Now You See Me 2’!!!! Remember: Your focus determines your reality.